Betsy Brown Braun, best selling author of Just Tell Me What to Say: Sensible Tips and Scripts for Perplexed Parents (HarperCollins) and You’re Not The Boss Of Me: Bratproofing Your Four To Twelve Year Old (HarperCollins), is a child development and behavior specialist, parent educator, multiple birth parenting consultant, and founder of Parenting Pathways®, Inc. In 2001 Betsy founded Parenting Pathways®, Inc. to provide guidance to parents seeking the skills and confidence needed to negotiate the often-challenging parenting pathway. 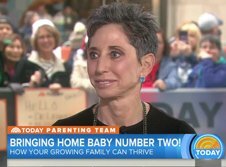 She leads parenting groups, seminars, and offers private parent consultations throughout the nation. Betsy brings her vast knowledge, sensitivity, and special brand of humor to her parent consultations to her groups and her presentations. Her parenting expertise has been featured in The New York Times, The Wall Street Journal, USA Today, U.S. News & World Report, Real Simple, American Baby, Cookie, Family Circle, Good Housekeeping, In Style, Parenting, Parents, Pregnancy and Newborn, Twins, Woman’s Day, and, Working Mother, Colorado Parent Magazine, Ohio Valley Parent Magazine among other publications. She has shared her expertise on the Today Show multiple times. Other television appearances have included Dr. Phil, Rachael Ray, The Early Show, Good Morning America, Entertainment Tonight, Fox & Friends, Hallmark’s Home and Family, KCBS, KNBC, and Fox News LA. She contributes to KNX news radio on child development, and has been a guest on countless radio programs nationwide, including NPR. She has been cited in numerous websites and parenting blogs. Betsy is a frequent speaker at educational conferences, schools, and businesses. She is the parenting columnist for the Palisadian-Post. Betsy and her husband Ray Braun are parents of adult triplets and grandparents of four, so far.